December 2, 2012—It was a cold, rainy evening in Hollywood, but inside the historic Whisky A Go-Go, it was nothing but clear skies and amazing live music for the Artist In Music Awards Nomination Event. Inclement weather wasn’t going to stop a successful Nomination, Red Carpet and Press Event—a pre-show for the 2nd Annual Artists In Music Awards coming up February 7, 2013—please note changed date. Over 20 photographers and members of the media covered the event and the Red Carpet which was held inside—on the second floor—the historic Sunset Strip venue. Nic Creznic hosted an incredible show, announcing all of the 130 Final Nominees in 26 categories. In addition there were 8 amazing performances by Abi Ann, Cheating Daylight, Deedub, Glitter Rose, Soren Bryce—the 2012 Artists In Music Award Best Alternative Artist winner, In Air, Andrea Desmond, and Melanie Taylor. There were even special guest appearances by John Cassese the Dance Doctor—who was awarded the "Comeback Album of the Year" for his album Never Too Late. 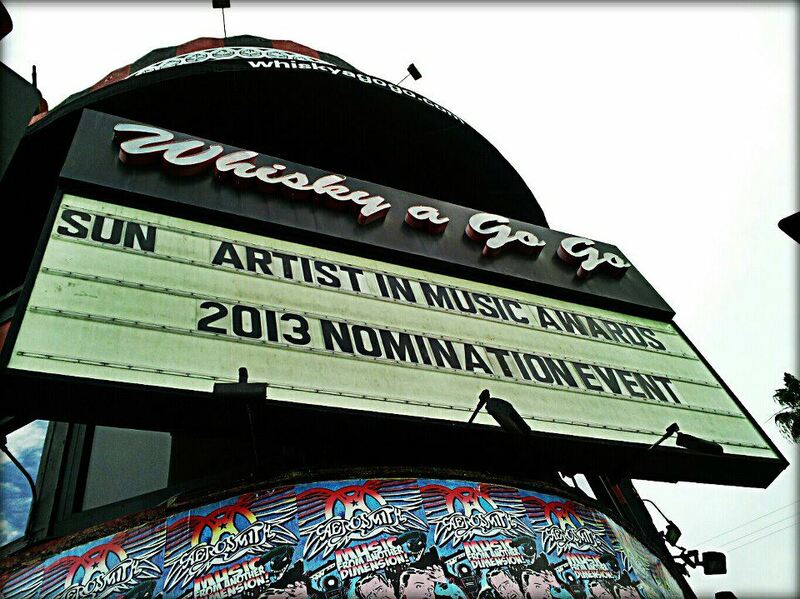 Al Bowman of the Los Angeles Music Awards graced the stage with a special introduction of the Nomination Event.